"It's like they're drawn to me!" 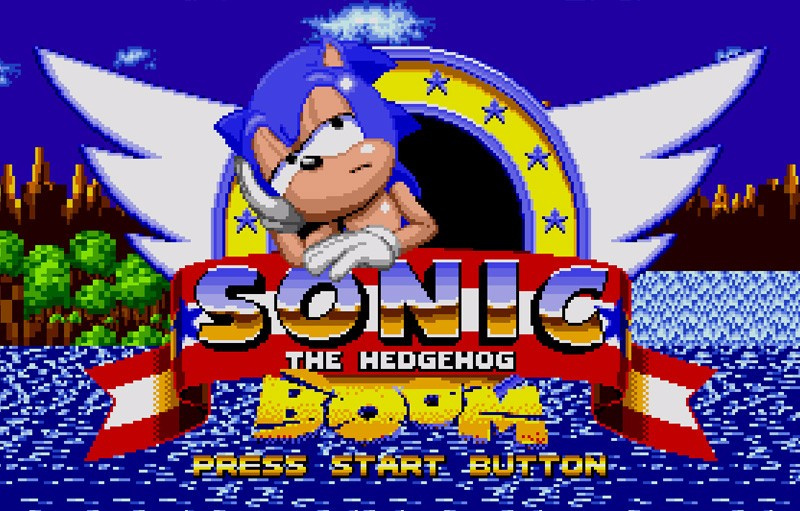 Like the vast majority of gaming icons who appeared during the 16-bit era, Sonic the Hedgehog was a silent protagonist. However, his journey into 3D saw him gifted - if that's the right word - with a voice, and in his most recent outings, he rarely shuts up. As if to prove that less is most definately more, hacker VAdaPEGA has taken the various phrases uttered by the Blue Blur in Sonic Boom and placed them in a special version of the original Sonic from 1991. The result is both hilarious and troubling, as it shows that these mascots don't have to be making wisecracks every few seconds to have charm and character - in fact, the less they say, the more appealing they tend to be. If you want to experience this mod for yourself, you'll be pleased to know it works with any Mega Drive / Genesis flash cartridge, and we're guessing it runs fine on the Retron 5 and Retro Freak, too. Sonic the Very Useful Engine, also made by VAdaPEGA, is probably one of the strangest hacks I've ever played. Thomas Was Everywhere. "One more ring to rule them all!" ...and in the darkness, BIND THEM... with annoying phrases. Sonic games seem prone to constantly quoted phrases actually. Who can forget "You know what they say; the more the merrier!" and "NOW for a change of PACE!"? The people behind the video are known as Razor and Zenon. If you like watching Sonic hacks, their content is right up your alley. @DarthNocturnal "Long time no see!" That was like a trainwreck you can't stop looking at. This is pretty funny to watch a random five minutes of. I could see it quickly becoming insufferable playing a whole game. "Did I forget to mention RINGS!?" If you haven't seen it, the Game Grumps playthrough of Sonic Boom is comedy gold. 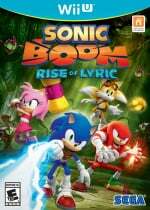 If you have seen it, the Game Grumps playthrough of Sonic Boom is comedy gold, isn't it? He's right. You can indeed never grab too many rings, it's like they're made for me. If I had one more ring I would rule them all. Rings! Still better than NIA from Pokken. She is the absolute worst. At least you can shut her up! Pyjamas Eggman stomping on the Big Red Button at the end is just the cherry on top. @riChchestM Not it isn't. It's super boring. The Sonic '06 playthrough is way funnier. It hurt to watch for too long. Another day, another Sonic 1 mod. I guess Sticks in Sonic 1 is next right? Finding this way too funny. For some reason, that voice just sounds really bad to me. Probably because I haven't played a Sonic game with voices since Sonic Adventure 2 Battle. Tails in Sonic Heroes was almost as annoying. Anything with Jontron is better. @JaxonH To be honest, I don't think in Colors, Generations and Lost World Sonic is as annoying in the levels as he is in Sonic Boom: Rise of Lyric, and I find it much more annoying that Mario and Luigi in the 3DS version of Mario & Sonic at the Rio 2016 Olympic Games cannot speak and Toad speaks on their behalf while Sonic does speak (and even Nabbit for the first time, actually!). Wow that was painful. I only lasted a few minutes. i cant watch anymore. thanks tho. I feel like, if I were to upload a video of a hacked game I'd get content id'd. So strange how you can upload these things to youtube. But also, does Sonic actually talk that much in the game? About the same things over and over? I got until some point in Zone 2 Act 2 before I quit. Was funny for a few minutes but by then you seem to have heard every line and... Yeah. Ear cancer. "My God. Who could do such a thing!?" @Angelic_Lapras_King I think that was an entry in the 2015 Sonic Hacking Contest. "No way! I can't believe this!" 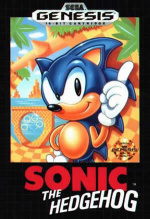 The creator should do Sonic 2, Sonic 3, S&K and Sonic CD next for all the characters. This is wonderful! Dynamite form of criticism. I"m stunned by how many different lines there are. You can never have too many rings. Luckily I've never played boom, but this is just the best! Oh my God, how annoying can modern Sonic be! Fi is like Buddha compared to this. Yeah I'm not putting that ROM anywhere near my Mega EverDrive! I lasted 56 seconds before I stopped. Please let's bury that and never talk about it again. That's pretty bad. Sonic's always been one to try to hard to find catchphrases - but that kind of fit in with the early 90s when he first came out (and couldn't talk in games). I haven't really played through a sonic game since Sonic Adventure 2. While the voices in those games are annoying, I get a kick out of them now for campiness, and the speaking is pretty much confined to cutscenes at least. I didn't realize it had gotten so bad....does Sega have nobody play-test their games prior to release? @Seacliff I don't know I find him a bit obnoxious when he is 'trying to hard' ( atleast that how it comes across to me) As a person he seems nice but his character just rubs me the wrong way at times. Games have had this issue for ages now. Shoehorning story into a gameplay based series. Do you need any story other than to beat Eggman? All that chatting adds nothing to the game. Then the team of annoying tacked on characters in the Sonic universe. Ugh. I knew I had forgotten one. Oh dear god kill it! Kill it now! Astounding. I couldn't bear to stop playing Sonic in my childhood but add in that obnoxious dialogue and I can easily see my eight year old self turning this off before the halfway point of Green Hills. Adding the bandanna is a nice touch. Coupled with the dialogue is just makes Sonic seem like such a tool. As annoyingly fast as that got, am I the only person who was more impressed by this video's amazing gameplay than the mod itself? I am aware the player must have exploited a few glitches, but still pretty impressive. I personally ever finished this game only once after so much frustration, and I didn't even get all the Chaos Emeralds either! A hack with just the "Great Job! Let's move on" sample at the end of each stage would be cool. wow. what were they thinking? just the number of stupid ways for sonic to express his love of rings — how did no one on the team at one point say, "guys, i think 18 of these is too much"? @Token_Girl Boom is when it got bad. From Colors to Lost World he was ok but had little personality due to the writing because the writers treated it like a kids cartoon. From Adventure to Black Knight he had a personality that was comparable to Bayonetta and Dante because of Japanese writers.